Is there really a place for brochures in today’s online world? Whether you have them printed as a hand-out for exhibitions or conferences, or as a PDF download from your website, brochures remain a valid form of marketing collateral. So, if that’s the case, why did your last one tank? Why did no one read it? Your brochure is only as good as the images and words it contains and brochure copywriting isn’t as easy to write as you may think. Here are some of the main reasons why your brochure failed. Before I begin, if you think all you have to do is copy the content from your website and paste it into your brochure, think again. You are creating your brochure for a specific purpose, so it’s important the information it contains is relevant. Normally, your brochure exits to promote a new product or service (occasionally a range of services). If that’s the case don’t fill the pages with stuff about everything else you do. Granted, you can have a page at the back that gives an overview of that stuff, but the main focus should be on the product you’re promoting. You already know that your website copy should be chatty, informal and interesting, so why have you just filled your brochure with mind numbing hyperbole? Just because you’re writing for something that’s (potentially) going to be published doesn’t mean you’re writing a classic work of fiction. You’re writing for the same audience so keep your language simple and your style the same as your web copy. Remember, it should look as though it’s come from the same company. Why use stock images that have no relevancy to your business when you can get your own graphics created and photos taken? This brochure is supposed to represent your business, so make sure your imagery is personal to you. Don’t write your brochure in the third person. It’s there to convince the person reading it to buy from you, make contact or book an appointment. Use the second person (i.e.’you’) to talk to them directly and tell them how buying from you will benefit them. As a business owner, it’s tempting to tell the world how great your company is and how hard you’ve worked to get where you are today. The problem is your customers really don’t care. They want to know how you’re going to help them, why their lives will be better as a result and how to get in touch. It’s as simple as that. Keep your content focused on your customer not on your business. How many of those are you guilty of? Brochures can be powerful tools when written correctly. Writing for your own company can be tough, which is why it is a good idea to bring in an external copywriter with no knowledge of your company who can look at what you do from a customers’ perspective. It was a job that remained on your to-do list for months, but finally, you’ve completed your new website copy or brochure content. Your copy is error free (well, as far you can see), reads superbly and most importantly, can now be crossed off your to-do list. Once it’s been uploaded or your shiny brochures have been received back from the printers (smelling divine), you sit back and wait for your phone to start ringing and the deluge of emails to pour into your inbox. 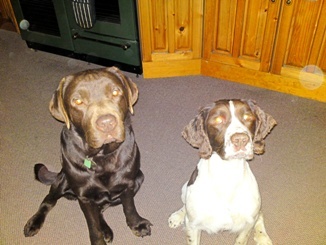 These lovable rogues are my dogs – Jerry and Scooby. As all dog owners will understand, they love to test my patience every time we go for a walk. Jerry (the Springer Spaniel) is 11 now and slightly hard of hearing. Therefore, the commands he obeys are the ones he hears – and that’s not many. Scooby (the Chocolate Labrador) on the other hand is only 5. He can hear and see me perfectly well, but that doesn’t mean he’ll always do as he’s told. You see, Scooby has a condition known as ‘Intelligent Disobedience’. In other words, he’ll only do what I want him to do if there’s something in it for him. The fields around us are littered with rather unpleasant dead rabbits (myxomatosis seems to be rife this year). There is nothing Scooby loves more than to find these rabbits and either play or attempt to eat them (dogs will be dogs). Hmmm, she wants me to put this rabbit down. But I found it so it’s mine. She’s not going to run across this ploughed field after me so, no, I’m not going to put it down. A prime example of his Intelligent Disobedience – he’s thought about the command, decided there’s nothing it for him and therefore chooses to ignore me. I don’t want to put my rabbit down. Hang on, her hand’s in her pocket…hmmm, do I want a smelly rabbit or one of those delicious treats she buys me. No contest, goodbye rabbit – I’m coming mum!! This time, even though Scooby didn’t really want to put his rabbit down he knew that if he did he would be rewarded with his favourite treat. What on earth does this have to do with copywriting? You are probably beginning to think I’ve finally lost it. Bear with me, all will become clear. Let’s go back to the copy we talked about at the start of this blog. Something’s wrong because it’s not converting readers into customers. Your readers are displaying their Intelligent Disobedience. The most likely cause is that you haven’t written it for your reader. Everything you write must be aimed at your customers. It has to tell them what they want to know, not what you think they ought to know. In a nutshell that means writing about the benefits of your product or service. For example, if you were writing about a sofa and told your reader it comes in 6 colours, seats 3 people and has wooden casters, the most likely reaction would be ‘so what?’ That could relate to any sofa, you haven’t given them any good reasons to buy yours, therefore they have made the decision not to buy. Well, the first scenario simply tells them what the sofa is and doesn’t offer them anything in return for their investment. Yes, I know, they will get the sofa – but’s that all. In the second scenario, you are not only selling a sofa, you’re also selling a life style. Basically, it’s telling your reader that not only will they get the sofa, they’ll also own the latest design, a piece of furniture that will create an air of luxurious chic in their home, in fact a movie star life style! An extreme example I grant you, but it serves as an illustration of how selling the benefits of your product will make your reader decided to buy. If you want to avoid Intelligent Disobedience in your customers, always make sure your copy sells the benefits of your products or services. That means concentrating on what your product/service will do for your customer. Whether it’s aesthetic like the above example or more tangible (i.e. saving them money etc. ), your customers will want to know what’s in it for them if they buy from you. How do you sell the benefits of your product/service? Have you come up with any innovative techniques that really work? If so, leave a comment below and share them with us. It took months to put it together but there it is in all its glory. Your new, shiny, gorgeous corporate brochure is ready to be distributed. Hmm…if you’re that pleased there may be a problem – let me tell you why. Everyone does it now and then but temptation has its place and there is no room for it in your brochure. Don’t get me wrong. What you do is incredibly valuable but people (i.e. Joe Public) aren’t interested in what you think about your self, they are interested in themselves. With the economy being what it is at the moment, the fact that you’re investing in a glossy, expensive corporate brochure tells the market (and all your competitors) that you’re doing well; you have a motivated and engaged team who are working their butts off to make you look great. Fantastic – by why do all of this? But the problem is that there aren’t that many companies out there who do it right. There’s no escaping the fact that you need a large team to pull off a cracking end result – designers, photographers, a great brochure copywriter. These guys are all experienced in what they do and can easily collaborate to achieve the ultimate end result. However the main problem lies within your company. Although one person is assigned the headache of pulling the expert team together, the review stage is usually done by many people (CEOs, Directors etc.) which means there are too many opinions flying around the room. Your brochure should not contain any corporate speak – in fact your expert copywriter would have gone to great pains to ensure the language is simple, accessible to all, clear and powerful which is not an easy thing to pull off. And yet by the time the copy has gone round everyone it’s mutated into an overly intellectual hotchpotch of meaningless drivel. The design has been mauled mutating the understated, tasteful design into something way too ostentatious. And the wonderful photography of your staff and company has been replaced by dodgy stock images. 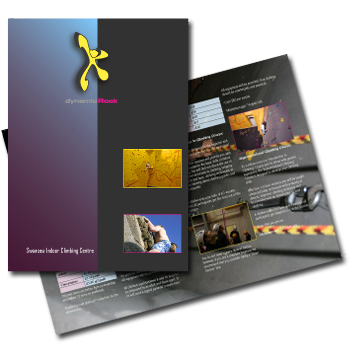 If you call in a group of experts to create your corporate brochure let them get on with it – they know what they are doing. Your corporate brochure has to be something people will want to pick up and read. If they don’t it becomes an extremely expensive coaster. To make sure yours is done right make sure you start the process of with a plan. Decide amongst yourselves what you want to achieve, how you want it to look and how you want it to sound. Then provide your expert team with a detailed brief for each element – design, photography and copywriting. After that, sit back and let them get on with it. Setting out your vision at the outset will ensure your get the result you were looking for. I’ve spouted on long enough, now I want to hear from you. What, in your opinion, makes a good brochure? Are Brochures Still Effective Marketing Tools? With more and more companies turning to online marketing and advertising, is there still a place for the humble brochure within your marketing armoury? Local search and SEO are huge today and many businesses are (quite rightly) investing heavily in these areas. After all, more and more people are turning to the internet when looking for products and services. Plus, with 85% of all search traffic clicking on organic listings rather than the sponsored links (PPC), it’s not surprising that this is where the focus on online marketing is these days. So has the company brochure really been consigned to the rubbish bin once and for all? However much I hate it, face to face networking is here to stay. Nothing can replace meeting someone in ‘the flesh’ and connecting with them on a personal level. Personally I am not a fan of networking as I’m the type of person who is terrified of being in a room of strangers. Walking up to a group and breaking into a conversation is harder for me than undergoing root canal surgery. But it is something I force myself to do every once in a while. When you are in that situation, having a brochure often has more impact that handing over a business card. There’s a lot more room to get your message across for a start. But that doesn’t mean you should fill it with boring, pretentious nonsense that’s going to turn the reader off. I’ve often written about the importance of getting your website copy right. You have to grab their attention with a great headline, sell the benefits immediately, talk to them and then tell them what to do. Compiling your brochure should take the same approach. It should make the reader sit up and think ‘Wow! These guys are great. I must phone them immediately.” OK, a bit cheesy but you get the picture. That doesn’t mean it has to be bold and colourful. Some of the best brochures I’ve seen have been very simple. Whatever look you go for, make sure it fits with your brand and company image. Try to make it fresh, eye-catching – something that’s tactile that they’ll want to pick up and read. Who cares?! Certainly not your reader. A brochure isn’t your soap box from which you can shout about your achievements. It’s your website in their hand. It’s a piece of marketing that they can keep with them and refer to whenever they need to. All too often a great brochure is spoilt by one omission – a call to action. Your brochure is designed to be taken away which is why it’s even more important than ever to have a compelling call to action within it. There can be several – one after each section if you like. The main thing is when your reader has absorbed its contents, they know exactly what to do – call you, email you or visit you. With today’s online world people are forgetting traditional off line marketing tools. A brochure may not seem technologically advanced, but there is still a place for them for many businesses. However it’s important to make them fresh, compelling and different. If you want to stand out from your competitors you’re going to have to get creative. Q: What is the biggest mistake to make when writing your brochure copy? A: Focusing on information rather than persuasion. Brochures are sales pieces no matter whether they are designed as lead-generators or something that is handed over as customers leave your showroom. Before you can start to write your brochure copy you need to identify how it is going to be used, as copy for lead-generation will be different from copy that is designed to close a sale. Don’t forget the cover – this is a huge opportunity, don’t just give your company name or product, find a headline that will intrigue your reader and make them want to open the brochure. Think customer not product – show them you understand their problems, build rapport and then sell. 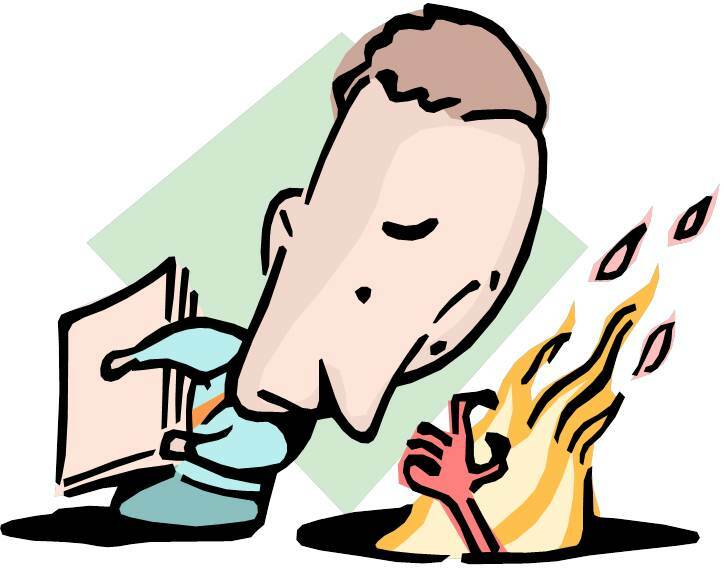 Page turners – the end of every page is an excuse for the reader to close it. Create copy that will make them want to read on to the next page. Benefits not features – don’t list the features, tell your reader how your product will benefit them. Technical jargon – there is a place for this and that is not in the body of your brochure. Present the information in a chart or graph and keep your copy flowing. Consistent voice – this is a key marketing tool, make it conversational and win your customer over. Establish credibility – provide answers in engaging language, or through visuals. Customer testimonials are also great here. Remember, people buy from people. Don’t forget the end – go out with a bang not a whimper. Tell you customer what to do next – place an order. There you go. View your brochure as a valuable sales tool and not as something to look pretty on a coffee table.